Our pablove story began in 2008, when Pablo Thrailkill Castelaz was diagnosed with bilateral Wilms Tumor, a rare form of childhood cancer. After 13 months of treatment, Pablo passed away just six days after his sixth birthday. The whole extended community affected by his diagnosis—friends, teachers, classmates and neighbors—wrapped its collective arms around him and our family. Their love inspired us and we decided to start The Pablove Foundation. It’s what we call fighting childhood cancer with love. 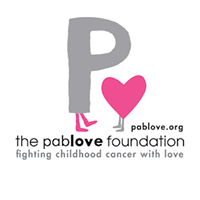 Today, Pablove Shutterbugs, our signature photography program for kids 6-18 with cancer, has served 1,500 students in eight cities across the country, and we’ve provided more than $2.5 million in seed funding for daring pediatric cancer researchers on the leading edge of their fields worldwide. And we get to see our art + science approach come full circle with 100% of proceeds from the sales of Shutterbugs prints directly funding pediatric cancer research. Thank you for visiting us here – and for spreading the pablove!